We don’t always know what a design is intended to convey. We don’t always recognise or relate to a design’s intended user groups. But we don’t have to know everything that an object’s design is intended to do, in order to make effective use of the object. I imagine the metal inserts in the wooden banister (see the video, above) are detectable warnings for people who are visually impaired, but that’s only a guess. If you watch the video again, you’ll see that the metal inserts do not occur at every bend in the staircase. Whatever the intent, the banister fully met my needs. Environmentally defensible. It is made primarily of a renewable resource—wood—and is so durable that, after decades, it still withstands daily use. Functional. Originally, at BC Tel, this chair fit a small space, swivelled so the operator could get in and out of a small workspace, and provided a place for the operator’s personal items. After it was decommissioned, this compact and strong chair continued to be functional in other settings. Aesthetically appealing. I’m thinking of the wood, the form, and the chair’s history. This chair has only marginally been repurposed, because it still seats people as they connect to a telco service—formerly a telephone, now Internet access. Can we still design objects that last as long as this chair has? When you have limited resources, how do you prioritise what to provide on an e-commerce website? In the PEW Internet and America Life report, Generations on-line 2009, Jones and Fox present data in a format useful to help you prioritise. Should you do any search-engine optimisation (SEO) on your site? What kinds of things will users search for? Should you provide video on your site? What kinds of users will watch video? Should you help site visitors research your products? Should you deliver that information in a podcast? Below are common online activities, by age group. The more people report doing an activity, the higher it appears in the list. Activities above this line were done by more than half the group, below this line by less than half. Visit virtual world. Download music. Visit virtual world. Watch video. Visit virtual world. Buy something. ‡ Data from teens (ages 13-17) isn’t listed here because I had incomplete population data. However, teens do a smaller range of online activities than all adult age groups. During usability testing, I’m always fascinated to see how creatively users misinterpret the team’s design effort. I’ve seen users blame themselves when our design failed, and I’ve seen users yell at the screen because our GUI design was so frustrating. Wednesday, the tables were turned. I unintentionally “agreed” to let Facepoke—that social-networking site—invite everyone with whom I’d ever exchanged e-mail. Think about all the people you may have exchanged e-mail with. Former bosses and CEOs. Your kid’s teachers and the principal, too. People you used to date. Prospective business partners, or people you’ve asked for work but who turned you down. Your phone company, car-rental company, bank, and insurance company. Government agencies. The person you just told “I’m too busy to volunteer,” and your teammates from that course in 2005. Your e-mail records are full of people that you simply wouldn’t want on your Facepoke page. See paragraph 1: User blames self for poor design. Facepoke had been interrupting my flow for several days, offering to help me find Friends by examining my Gmail records. 1. I gave in, chose three Friends, and clicked Invite. The screen flashed, but the list was still there. 2. I clicked Invite again. Then came the moment of horror: I saw that the list had been changed! Switched! It was now a list of every e-mail address in my Gmail records that was not already associated with a Facepoke account. 3. I sought in vain for a way to Undo. With each passing minute, I thought of more and more people who would have received this inappropriate inivitation to join me on Facepoke. Why wasn’t there a confirmation? See paragraph 1: User emotes in frustration. In my usability- and design work, I will continue to ask: “What’s the worst that can happen?” I will promote designs that prevent the worst that can happen. I will not present two apparently identical choices back to back, one of little consequence, one of great consequence. I will allow users to control their account and to Undo or recover from their unintended actions. I will not make users feel like they’ve been misled. show users some alternatives, so more than one design. show users a low-fidelity rather than high-fidelity rendering. ask users to sketch their feedback. To iterate and improve the design, you need honest feedback. Let’s look at how and why each of these techniques might work. Showing alternative designs signals that the design process isn’t finished. If you engage in generative design, you’ll have several designs to show to users. Users are apparently reluctant to critique a completed design, so a clear signal that the process is not yet finished encourages users to voice their views, but only somewhat. Using a low-fidelity rendering elicits more feedback than the same design in a high-fidelity rendering. Again, users are apparently reluctant to critique something that looks finished—as a high-fidelity rendering does. The design is the same, but it feels more difficult to criticise the one on the right. Asking users to sketch their feedback turns out to be the single most important factor in eliciting feedback. It’s not known why, because there hasn’t been sufficient published research, but I hypothesize that it’s because this is the most indirect form of criticism. Where’s the evidence for sketched feedback? The evidence is unpublished and anecdotal. The problem with unpublished data is that you must be in the right place at the right time to get it, as I was during the UPA 2007 annual conference when Bill Buxton asked the room for a show of hands. Out of about 1000 attendees, several dozen said they had received more and better design-related feedback by asking users to sketch than by eliciting verbal feedback. When you ask a user: “Tell me how to make this better,” they shrug. 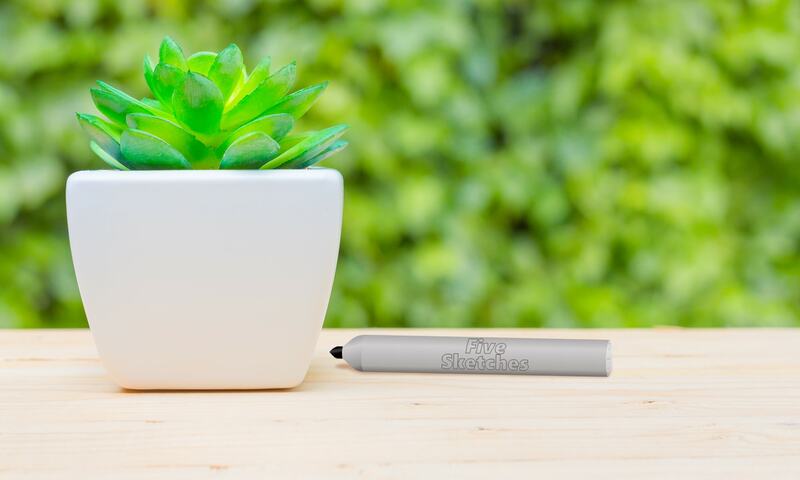 When you hand them a pen and paper and ask: “Sketch for me how to make this better,” users start sketching. They suddenly have lots of ideas. My own experience agrees with this. In Perth, Australia, I took sketches from a Five Sketches™ design session to a customer site for feedback. I also brought blank paper and pens, and asked for sketches of better ideas. Not surprisingly, the best approach is to combine all three techniques: show users several low-fidelity designs, and then ask them to sketch ways to make the designs better. Product managers talk about features and market needs. Business development talk about revenue opportunities. Usability analysts talk about product- and user performance. Interaction designers talk about the user experience. QA talks about quality and defects. Marketing talks about the messaging. Technical communicators talk about information and assistance. What brings all these together is design. 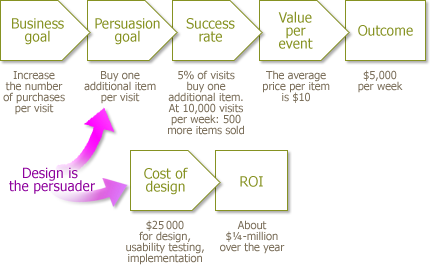 Proper design begins with information: a problem statement or brief, information about the targeted users and the context of use, the broad-brush business constraints, some measurable outcomes (requirements, metrics, or goals), access to a subject-matter expert to answer questions about the domain and perhaps to present a competitor analysis. What is the mental model? Development. What are the technical constraints? Coding costs? Effect on the stability of the existing code? Downstream maintenance costs? Usability and experience. Does the design comply with heuristics? Does it comply with the standards of the company, the industry, and the platform? Does paper-prototyping predict that the designed solution is usable? User experience. Will the designed solution be pleasing due to its quality, value, timeliness, efficiency, innovation, or the five other common measures of customer satisfaction? Project sponsor. Is the design meeting the requirements? Is it reaching its goals or metrics? It’s risky to expect one person—a developer, for example—to bring all these skills and answers to the table. 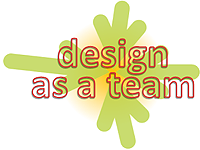 A team—properly facilitated and using an appropriate process—can reduce the risk and reliably produce great designs.